(Ottawa, Ont.) It is with a heavy heart that Wheelchair Basketball Canada mourns the passing of beloved Canadian wheelchair basketball coach Jerry Tonello. He passed away on Wednesday morning at the age of 59. Tonello led the Canadian Men’s National Wheelchair Basketball Team to a gold medal and an undefeated record at the London 2012 Paralympic Games. 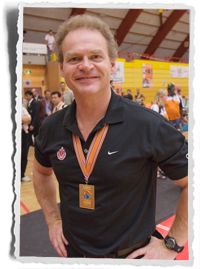 He served as head coach of the team since 2009. 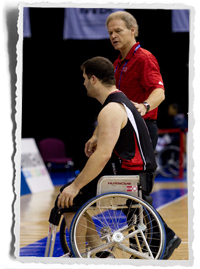 He first joined the men’s national team program as an assistant coach in 1991, and he helped the Canadian team establish itself as an international powerhouse in wheelchair basketball. Tonello was diagnosed with a brain tumor in the spring of 2015. He had relinquished his duties as head coach of Team Canada in order to focus on his health and his family. Even while going through treatment, his thoughts never strayed far from the team. Tonello continued to cheer on Canada from the sidelines, making an appearance to show his support for his athletes and coaches while the Canadian men competed at the Toronto 2015 Parapan American Games in August. Team co-captain David Eng made a special, heartfelt tribute to Tonello on behalf of the team following the men’s gold medal game at the tournament. A native of Toronto, Ont., Tonello grew up as an all-around athlete in football, basketball and a number of other sports. He was introduced to wheelchair basketball by friends and started playing as an able-bodied player. He was a dominant big man on the court and played recreationally for many years. He began coaching in 1982. He is survived by his wife Anne-Louise and two sons, Matthew and Zachary. Wheelchair Basketball Canada asks that media respect the privacy of the Tonello family as well as that of the athletes. 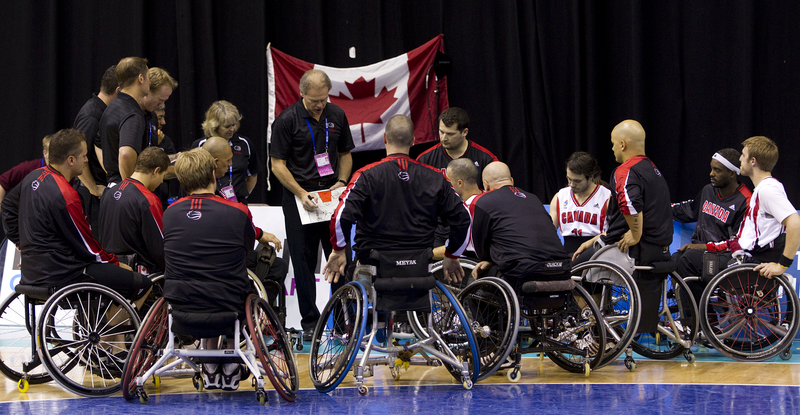 Media requests may be directed to cpollock@wheelchairbasketball.ca.